It is replaced by the Elo 1929LM. 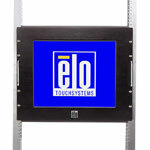 This feature-rich touchmonitor sheds water and is safe from liquid drops. The fully featured 1928L touchmonitor offers best in class optical performance mated to the medical industry's leading touch technologies IntelliTouch surface acoustical wave and AccuTouch five-wire resistive in addition to a combination touch controller, DVI, VGA and built-in speakers. 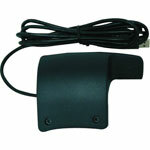 The product can be ordered in beige or gray color, touch and non-touch enabled versions. The 1928L carries worldwide medical certifications, and includes an innovative IPX1 enclosure design which ensures that the entire touchmonitor sheds water and is safe from liquid drops and spills. As a result the 1928L is an excellent fit for patient monitoring, critical care and digital radiography modalities. 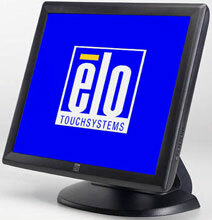 The new Elo medical touchmonitor is also a cost-effective solution for nurse station, computer-aided therapy, electronic medical record keeping, paperless charting, patient self check-in/registration applications, as well as non-medical applications benefiting from DVI-D input, speakers and best in class image performance. 1928L AccuTouch Serial/USB, GRAY 3RD EDITION MEDICAL CERT. 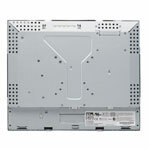 IntelliTouch - 19" LCD - 1280 x 1024 - Medical/Health care - Dark gray - USB and RS-232 (Serial).